Religion is often used as a collective political and racial identity regardless of whether people agree with the actual tenets of a religion1. To be a proper member of an ethnic group in many cases means adopting a certain religion. Or the opposite - some people join a symbolic opposition religion to signal rebellion and dissatisfaction with their own community2. Studies have found that many people join a religion not because they agree with its theological arguments, but because religion endows "people with an enhanced sense of solidarity to advance collective, often political intentions"3. Migration is often a trigger for adopting a religion. This works in two ways, together called "cultural transition and defence" by sociologist Steve Bruce4: (1) Once removed from a community that they come to miss, some adopt a religion common in that community as a way of boosting their identification with it, regardless of whether they have started believing in the tenets of the faith. (2) When faced with immigration, some take up more extreme forms of what they perceive to be the 'proper' religion of their own culture. Giving things religious meaning 'gives the struggle an intensity and legitimation otherwise unavailable, and makes it easier for reformers and revolutionaries to mobilize popular support'. Leaders and followers both use religion and religious symbols as social tools. It was used in that way by ancient civilisations' rulers such as those in Egypt5. As long religion can act as an authority or as an anti-authority, groups of people will be called to religious traditions based on their position in society vis-a-vis the powers that be. Some of the greatest shifts in the numbers of religious adherents occur when a community converts en masse from one religion to another in a short period of time. This was common in history, although it is now rare. One single cause of this behaviour stands out as the most common influence that facilitates these events: The threat of a conquering enemy. It just so happens that mass conversions are nearly always of the kind that convert the populace to the same religion or denomination as a new encroaching power. This bodes well for the material wellbeing of newly captured colonies, but, it does not indicate any positive evidence towards the overall truth of the religion's doctrine and beliefs. And if in doubt, consider, what happens to those who fail to convert? Slavery, subjugation and the massacre of natives plagued the imperial age across the globe. The expansion of world religions should be based on individual's evaluation of the evidence for the religion's claims, but in reality, such a cool approach is very rare. Power games have converted more souls than faith ever did. In today's complicated and globalized world, migration and multiculturalism have become the norm. Religion has become a private affair because often there is no shared, public religion. Individuals find themselves presented with many foreign religions and cultures, and in these circumstances one's own religion can find itself at the forefront of one's own self-definition even though previously it was a minor technicality. Religion is often confused with cultural identity and many come to assert 'their' own religion more dominantly as a reaction against cultural change, whether or not they believe in the tenets of the religion1. In the sociological analysis of why the USA has such high rates of strict religion for a developed country, this concept became known as "cultural transition and defence", as formulated by Steve Bruce4, explaining how defensiveness can bolster religiosity. The coming-together of different religions results in much less certainty in religious ideas. It is especially hard for laypeople to explain the things they supposedly believe in. Because of these challenges, belief has massively declined but those who still remain firm are more committed than ever to their religious identities - often irrationally so. The central majority of a religion often works to reign-in extremists, through social pressure. As the central mass of believers dwindle in numbers, the growth of fundamentalist and extremist factions continues unchecked. 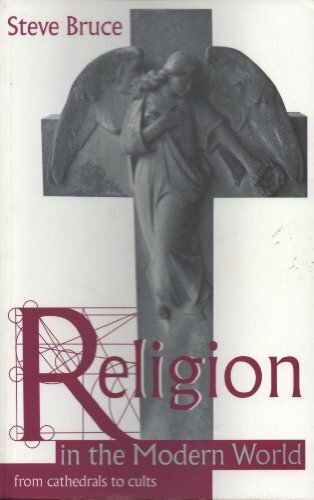 (1996) Religion in the Modern World: From Cathedrals to Cults. Published by Oxford University Press, Oxford, UK. A paperback book. 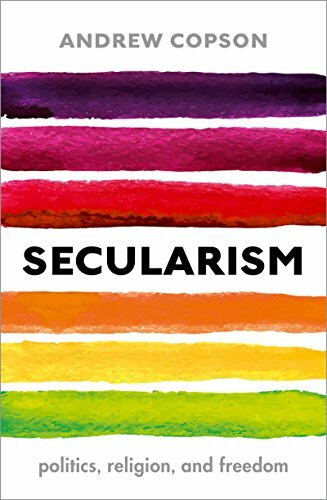 (2017) Secularism politics, religion, and freedom. An e-book. Hammond, P. and Machacek, D.
(2011) Religion and the State. This is chapter 21 (pages p391-405) of "The Oxford Handbook of The Sociology of Religion" by Peter B. Clarke (2011)1 (pages p391-405). Clarke, Peter B.. Peter B. Clarke: Professor Emeritus of the History and Sociology of Religion, King's College, University of London, and currently Professor in the Faculty of Theology, University of Oxford, UK. (2007) Gods in the Global Village. 2nd edition. Published by Pine Forge Press, California, USA. Was previously Director of Religious Studies at Texas and holds a master's in Religion from Yale Divinity School and a PhD in Sociology from the University of Chicago. 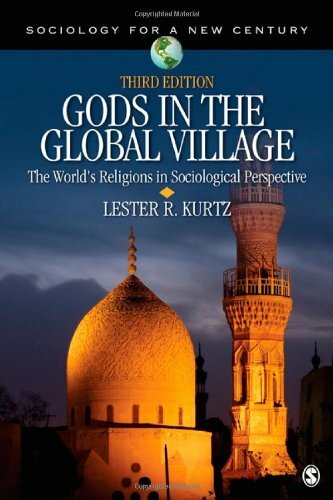 Kurtz is Professor of Sociology at the University of Texas, USA. Nesbitt, Eleanor. Professor of Religions and Education at the University of Warwick, UK. (2011) The Teacher of Religion as Ethnographer. 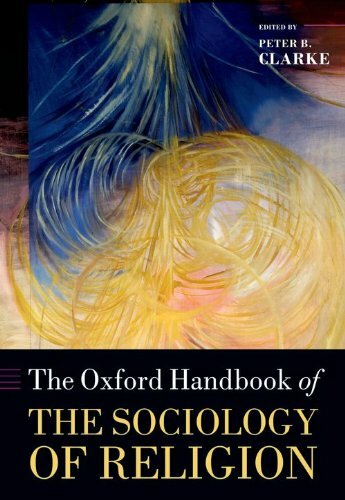 This is chapter 53 (pages 965-985) of "The Oxford Handbook of The Sociology of Religion" by Peter B. Clarke (2011)2 (pages 965-985). Clarke, Peter B.. Peter B. Clarke: Professor Emeritus of the History and Sociology of Religion, King's College, University of London, and currently Professor in the Faculty of Theology, University of Oxford, UK.